Since the establishment of Moben Global Inc., it rolled out a host of FOSJOAS intelligent self-balancing scooters. From the early single-wheeled intelligent scooter to the current two-wheeled scooter, their arrival all caused a sensation in the market. These days, a good many scooter-lovers are into FOSJOAS intelligent self-balancing scooters. It goes to show that FOSJOAS electric intelligent scooters gained a wide currency. In fact, the currency and acceptance both at home and abroad should firstly owed to the premium materials of FOSJOAS electric intelligent scooters. The quality of materials is the key to a product. The substandard material usually mars the brand of product and even causes danger. Moben Global Inc. attached a great importance to the quality of materials. It uses the new PC materials in products. This kind of PC materials can effectively resist the impact and stand up to wear and tear. If the rider has to worry about the issue of safety as he rides FOSJOAS electric self-balancing scooter, his enjoyment has to be reduced. 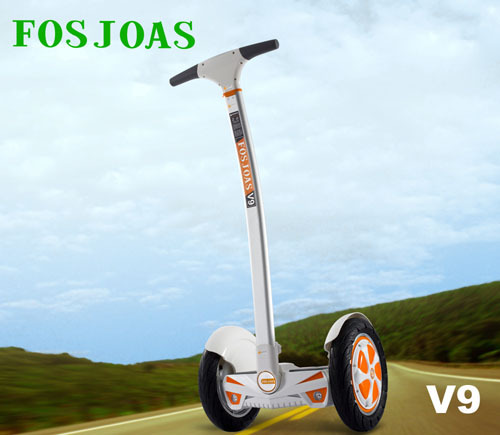 Therefore, the high-quality material is the precondition of enjoying the riding of FOSJOAS electric self-balancing scooters. In parallel with ensuring the quality, FOSJOAS is still attentive to the feedbacks from the end users, for the end users have the every right to air their feedbacks about the riding experience and advice about the modifications. The customers are the end users. Their personal experience is most telling. The final goal of producing intelligent self-balancing scooter is to meet the demand of end users. Their suggestions or advices are beyond price. Moben Global Inc. placed a massive emphasis on their feedback, both negative and positive. The positive feedbacks are a courage to the team of R & D of Moben Global Inc. the negative feedbacks prompted them to make essential modifications to FOSJOAS electric self-balancing scooter. That makes for the roaring success of FOSJOAS electric self-balancing unicycle.